Make a payment for your event… Safe, fast and secure! 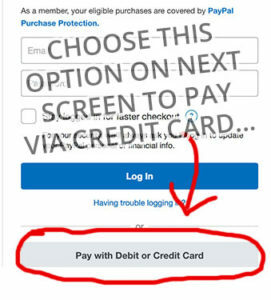 Upon putting in your information, please choose “Pay with Debit or Credit Card” option on the next screen to simply put in your credit card information and have the payment applied to your event. PayPal is our preferred credit card processor and a PayPal account is NOT required to use our Online Payment Portal. Should you prefer to make a payment via telephone, please call our office at 440-439-8800 and one of our team members will be happy to assist you.